I know, I know that poem is about Christmas time, and let’s face it, with a heat index of 108 degrees and an Excessive Heat Warning in place, December feels a hundred years away. But it fits because there really isn’t anything stirring outside. The animals are all in the shade trying to keep as cool as possible. . . As are we. Heatwaves are no fun at all, especially when your air isn’t working and you haven’t replaced the old above ground pool, yet. I’m very seriously considering jumping in the pond for a quick cool off, but then I’d have to worry about a ginormous catfish mistaking my toes for food. Or maybe I could borrow one of the ducks’ kiddie pools. Of course, I don’t think they’d be happy to have me muscling in on their quality pool time. It’s so hot not even Grandma and Grandpa (the two Jumbo Pekins that are usually daily pond swimmers) are willing to walk down the hill to the pond, instead they’re splashing around in the largest kiddie pool as I type. 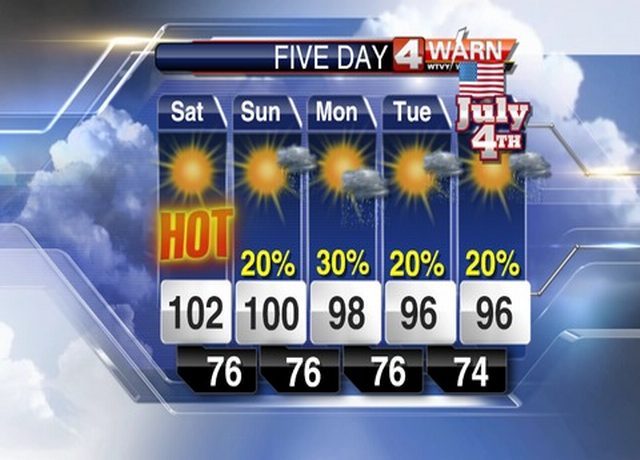 Oh well, at least the 4th looks like it’ll be a little cooler. Previous post: Happy Birthday to ‘Gator and ‘Bear. Next post: My Little Woohoos.